Is there such thing as an ethical banana? Every time we buy something, we're "voting" for that product. Let's vote right! I love bananas. I've eaten them all my life: from eating them mashed with cinnamon, to sandwiched between two slices of peanut-buttery bread during my late-night-test-cramming highschool days. 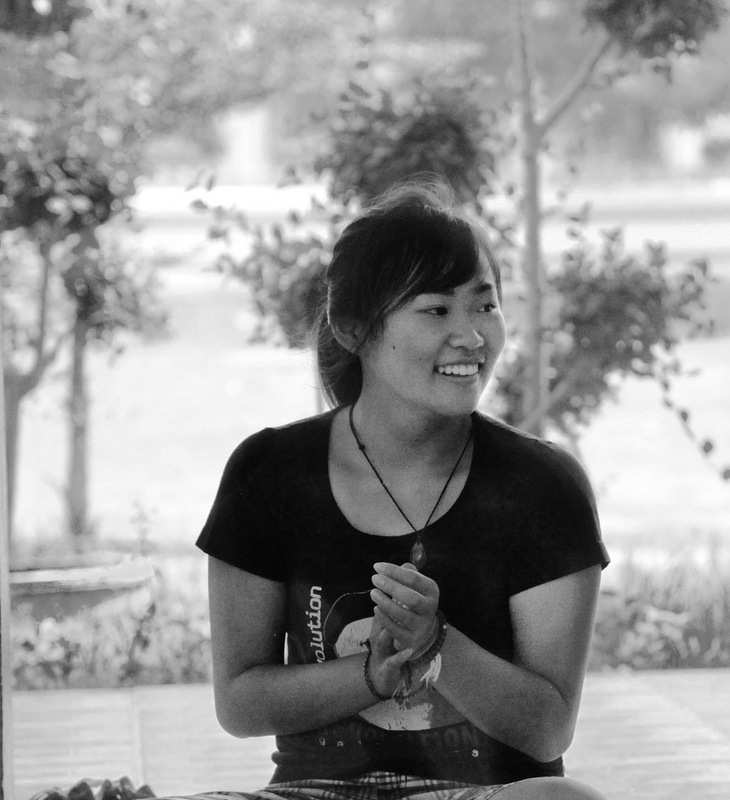 Then I met my friend Ale, from Ecuador. During our snack break, I innocently asked him if he wanted a banana, and man, did I open a can of worms. Ever since then, bananas didn't seem so a-peeling (ha). Every time I was offered the choice of a banana since, a little voice in my head told me I was ruining some farmer's life in Ecuador if I took it. But I've also asked the question: Is there actually such thing as an ethical banana? I started looking in organic food stores, and under the organic section in regular supermarkets. If an actual ethical choice was to be found, it had to be there. When I began my quest at Wholesome, the natural foods store down the street, I found Dole. One of the biggest banana-producing corporations in the world has had one of the longest records of exploitation. Throughout the 1970s, Banana corporations used the pesticide dibromochloropropane (DBCP) in South and Central American plantations despite knowing that it caused infertility in both men and women, and birth defects. Dole exposed about 22,000 farmers to unsafe amounts of DBCP in Ecuador, Honduras, Nicaragua, Costa Rica, and even in The Philippines. Have they redeemed themselves since? Well they've compensated just over half of the workers affected, also offering sperm tests and psychological evaluations in the process, but it does not include the other 14,000 affected people. Even though DBCP is no longer used in the banana industry, there have been constant reports of vast quantities of pesticide runoff in banana plantations in Costa Rica, affecting the soil and rivers. Their already not-so-squeaky-clean track record gets even more questionable. 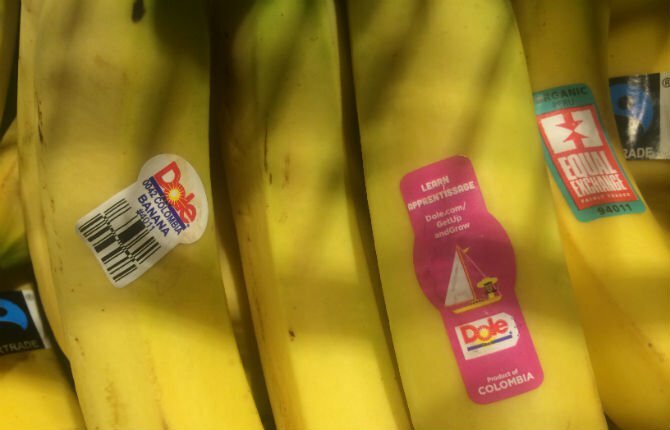 In 2013, they labeled their bananas sold in New Zealand as "the ethical choice." Apparently, the "ethical choice" wasn't so ethical after all. Research reports released by Oxfam showed Filipino children working up to 12 hours a day, harassment of workers for joining a union, and mass pesticide spraying while farmers were still on the plantation. After that, Dole tried to trademark "the ethical choice," claiming to own the phrase. Thank goodness there was an alternative at Wholesome. 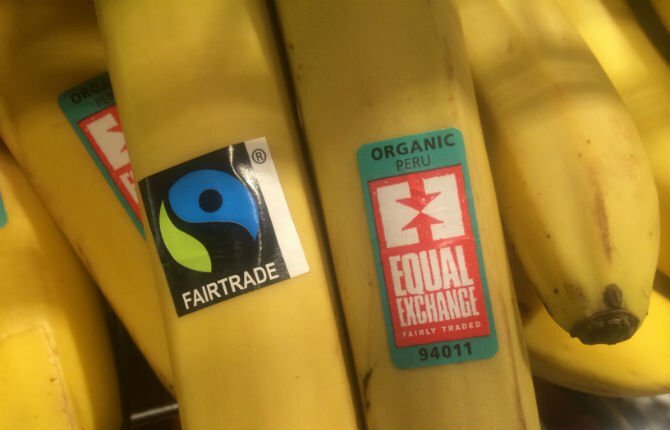 I found Equal Exchange, a worker-owned cooperative that "sources bananas from small farmer cooperatives in the Piura region of Peru (CEPIBO cooperative), and the El Oro region of Ecuador (El Guabo cooperative)." 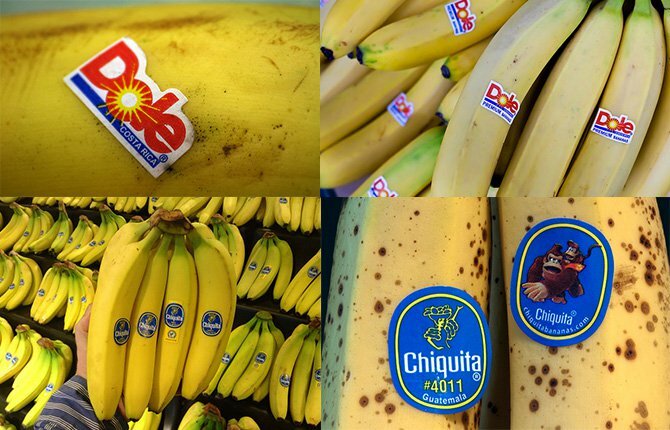 Dole was buying 90% of the organic bananas grown in the Piura region in 2007, until the growers demanded better wages and more autonomy to form cooperatives. That's when Equal Exchange farmers began to congregate, and Dole's influence in the region diminished. The cooperatives still sell their bananas to Dole, but no longer depend on the company to reach consumers. The search for ethical bananas looked promising. I loved learning about Whole Foods' bananas. They source their bananas from Costa Rica, Colombia, Ecuador and Peru, but each cooperative is quite different. 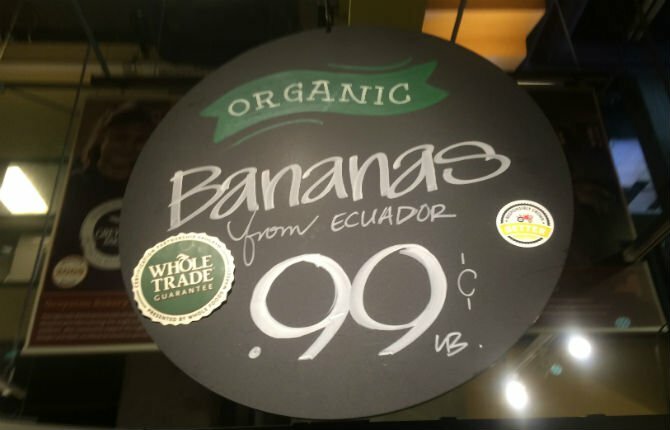 Whole Foods gets their Costa Rican bananas from EARTH University in Limón. EARTH is "a non-profit, international university dedicated to the sustainable development of the tropics through education, research and outreach." The University's banana farm acts as a platform for experiential learning, as the students can put entrepreneurial and sustainable farming skills into practice. 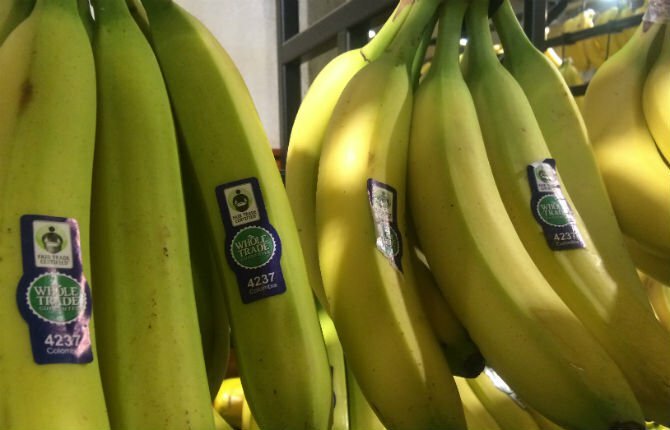 These bananas are sold above market price so the profits make up a scholarship fund for the University, so EARTH is able to admit students from poor, rural backgrounds. How awesome is that! To be honest, I wasn't particularly optimistic about finding an ethical banana when I started my hunt. I knew large banana plantations to be unsustainable and chemical-ridden, due to the pest-prone nature of banana trees. I also heard about indecent treatment of workers. 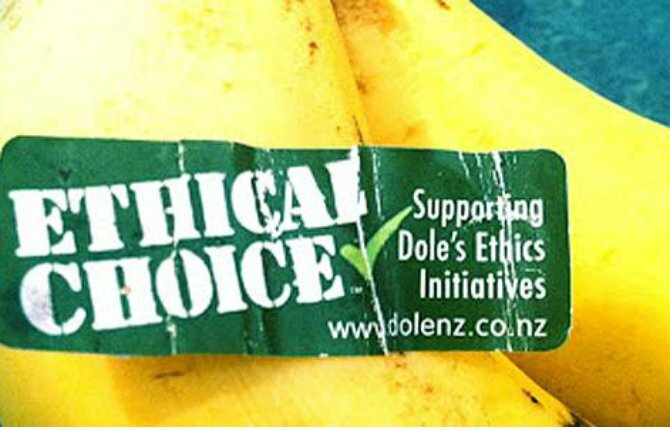 Like what I saw from Dole's marketing, "ethical" isn't always what it's cracked up to be. As a conscientiousconsumer, I have to weed through misleading advertising to get to what's really going on. In the end, I found impressive initiatives dedicated on creating a positive impact, and I encourage everyone to begin the search for an ethical banana in their own communities! Asking a few questions and researching claims can make a big difference. Sometimes the biggest barrier to eating ethically is simply access. Put your voice behind increasing access to food for all people by signing the petition to increase food security around the world in TAKE ACTION NOW.